* All fares below were last found on : Apr 19, 2019 6:50:59 AM. Fares are round trip. Fares incl. all fuel surcharges, our service fees and taxes. Displayed fares are based on historical data, are subject to change and cannot be guaranteed at the time of booking. 55% of Austin Bergstrom Airport travelers were over the age of 35. 18% of Austin Bergstrom Airport travelers were over the age of 60. 6% travelers traveled to AUS with kids under the age of 14. 36% of AUS travelers were millennials. 53% of AUS travelers were female. JFK, MCO, FLL were the most popular destinations visited by First-Class travelers from AUS. Travelers spent an average of 5.00 days in Austin Bergstrom Airport. 6:00PM - 7:00PM are the busiest hours at AUS. Every week, at least 1937 domestic flights and 548 international flights depart from AUS. 2233 flights arrive each week at AUS. 2221 nonstop flights arrive at AUS each week. The first flight to AUS departs around 7:00AM - 8:00AM. The last flight to AUS departs around 10:00PM - 11:00PM. July was the month with most bookings for AUS airport. December was the month with least bookings for AUS airport. Austin-Bergstrom International Airport was ranked the third best airport by Airport Service Quality Passenger. The commercial airport is located in the Central Business District of Austin, Texas and consists of two runways and three helipads. More than 10 airlines serve the airport covering 36 non-stop destinations in the US. Book flights to Austin Bergstrom Airport (AUS) with CheapOair! In addition to offering competitive airfares to locations most convenient for you, we provide useful information to inform your travel to AUS. Read below to learn more about AUS flights, and count on CheapOair for the best deals on all of your travel booking needs. Transport facilities available from the airport include taxis, limousines, shuttle services and metro bus service. While taxis and limousines are available outside the airport, you can request shuttle service in advance to reach a particular destination. Passengers can also use capital bus service that operates from the airport to Austin’s central business district and pleasant valley streets. 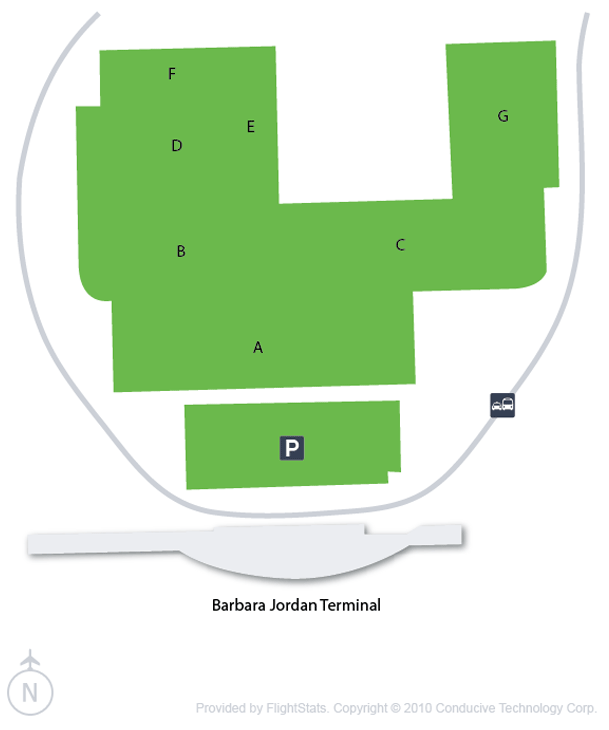 The airport has a single terminal called Barbara Jordan Passenger Terminal and has 25 gates. Some of the facilities available at the airport are restaurants, shopping centers, gift shops, wireless internet, massage services and a live music stage. 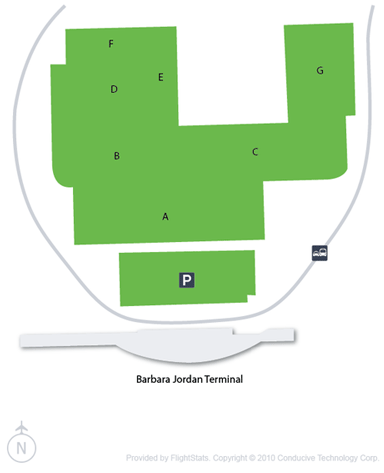 Austin-Bergstrom International Airport offers numerous parking options to suit every pocket size. Airport parking garage is located directly across terminal and is the most comfortable option costing $20 per day including tax. Valet parking costs $24 per day including tax and there is also provision for handicapped parking. You can also check real time parking availability before leaving for the airport. Austin-Bergstrom International Airport gets Spirit Airlines daily nonstop flights to Atlanta and Los Angeles starting May 2019! In its recent announcement, Spirit Airlines has stated the launch of daily nonstop service from Austin-Bergstrom International Airport to Atlanta and Los Angeles. This flight service from Austin to Los Angeles will begin from 2 May 2019 while the flights from Austin to Atlanta will start on 23 May 2019. This announcement has been made on the same day the airline has launched daily flight service from Austin to eight cities across the United States including Baltimore/Washington, Denver, Chicago, Detroit, Fort Lauderdale, New Orleans, Las Vegas, and Orlando. Find cheap hotels in Austin - Lowest rates for all sorts of Austin hotels!